Want to know how to be successful in network marketing? 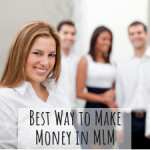 If you are just getting started in network marketing or haven’t experienced success with your MLM business, this article is for you. Learning how to be successful in network marketing takes skill. That means you need to learn how to be a professional at it. If you are committed to building a profitable home business, taking the time to become an expert network marketer is a must, not an option. As I have talked about in a previous article HERE, everyone in your network marketing business has the same products and compensation plan. There is only one variable and that variable is you! One of the biggest mistakes I see people make in their home business is not taking the time to become an expert at certain skills. If you seriously want to know how to be successful in network marketing, you have to take the time to learn how to be a professional. Remember, if you treat your business like a hobby it will pay you like a hobby. Hobbies cost money. OK. Here are the key steps to how to be successful in network marketing. The steps are simple and must be repeated over and over. If you focus your efforts on network marketing techniques and stop doing all your “busy” work you will eventually be a successful network marketer. Find Prospects – this is one of the biggest challenges faced by most home business owners. Most people just make a list of their contacts or warm market. Once they exhaust it, they are done! That is not how to be successful in network marketing. So the key skill you must develop is finding new prospects to talk to so your list is continually growing. Having a successful network marketing business means reaching beyond your warm market. Online marketing is one way you can do that. Click HERE to learn more. Invite Prospects – Once you find someone to talk to, you must invite them to understand your opportunity. Now this is where lots of people make a mistake. They usually pitch their business to the prospect. Change your thinking to this: educate your prospect instead on your products or opportunity. People need to make an educated decision about what is real and right for them. The prosperous MLM’ers learn how to be successful in network marketing by inviting prospects to learn about what they have to offer. Present your Opportunity or Products – First, get out of the way. Once big problem that people make is they become the expert with all the facts and blab on and on to the prospect. That is a big mistake that we all have made and not how to be successful in network marketing. Be the connector or pointer. Your job is to connect your prospect to information. Get good at pointing to third party tools or events to educate your prospect. Anyone can duplicate this. Follow up – Have you heard? The fortune is in the follow-up! 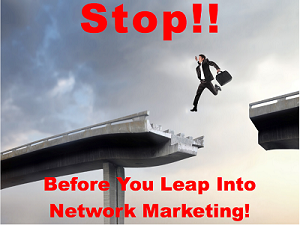 I am shocked at the number of network marketers that skip this step. Well, you are leaving money on the table. Get good at following up with each and every person as it is an important part of how to succeed in MLM. Make the follow up appointment during the invite step and then be a professional and make the call! The home business profession can be extremely lucrative and fulfilling. 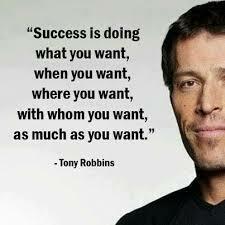 It’s a very equal opportunity business, anyone can succeed and no one is holding you back but yourself. Go out there and learn how to be successful in network marketing with the those key skills. Everything else is just busy work. You can indeed live the life of freedom you always desired. Other people have learned the skills required and you can too! If you are READY to learn how to be successful in network marketing, then CLICK HERE to take a look at the same system I use to build my MLM business.